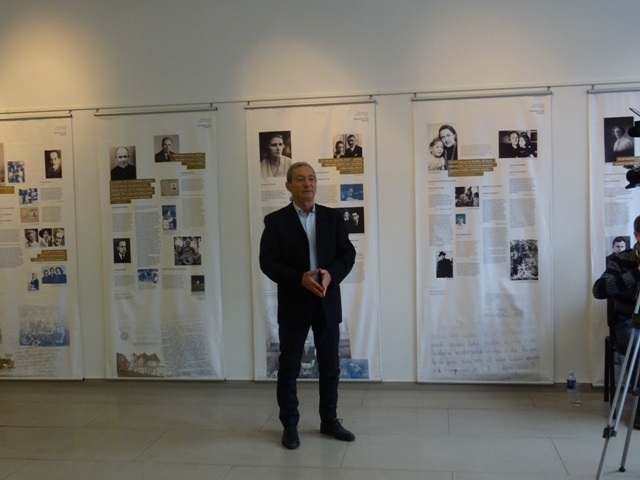 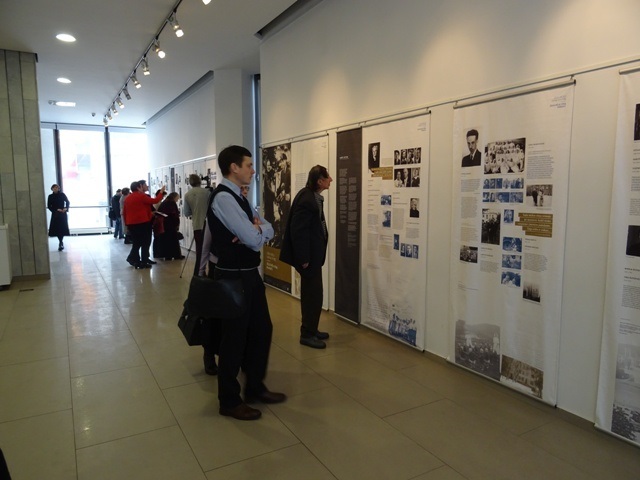 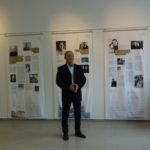 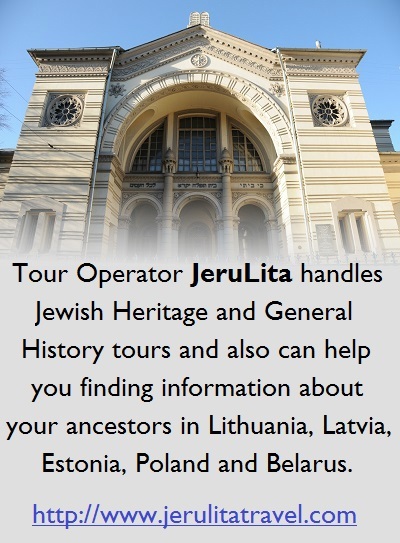 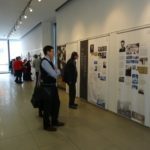 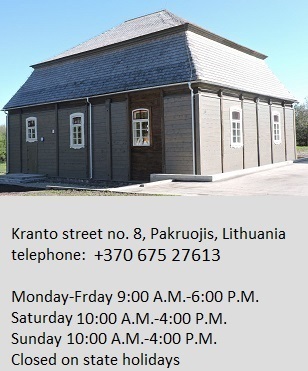 The exhibit contains many stories from Kaunas of Jewish rescuers. 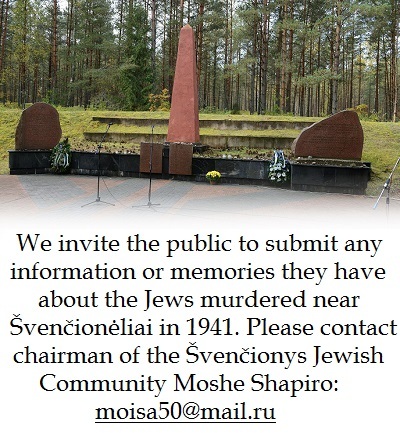 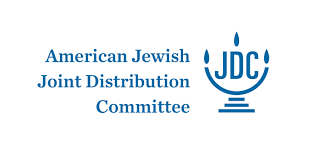 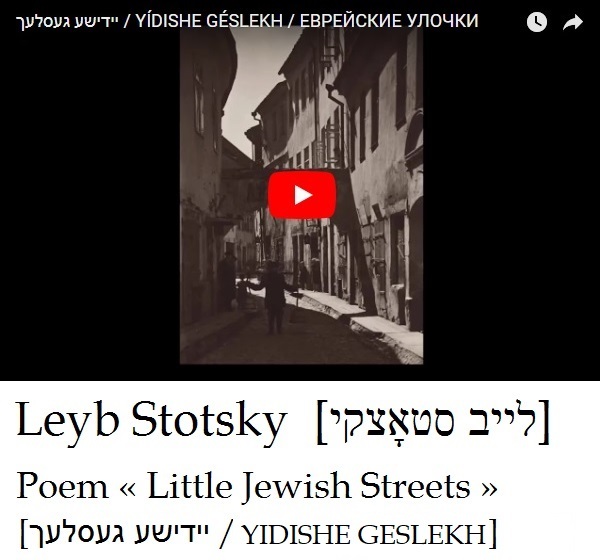 The story of Righteous Gentiles Vladimir Zubov and his wife Danutė show all the Jews who found safe haven at the Zubov and Čiurlionis homes received the greatest and most sincere care and concern of the heads of household. 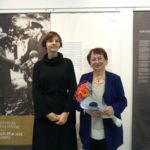 Dalia Palukaitienė, the daughter of the Zubovs, spoke during the opening ceremony and talked about music teacher B. Elin and her daughter Estera who found safety within her family, and famous engineer and architect Rozenblum, his wife, their son and the wife’s parents did as well, as did Kaunas doctor Leon Gurevitch, as well as many other families in Kaunas. 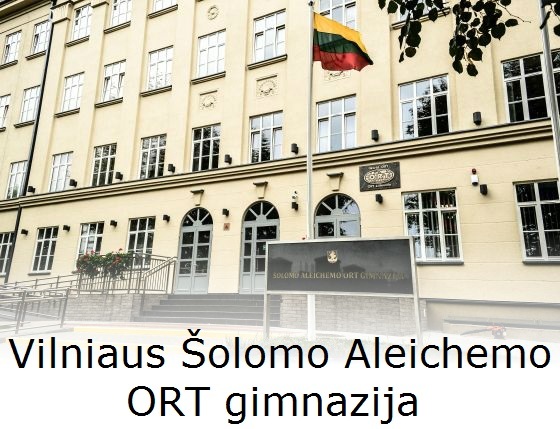 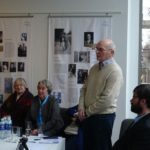 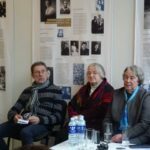 The grandson of Righteous Gentiles Pranas Mažylis and wife Antanina, professor Liudas Mažylis, spoke of stories he heard from his aunt which seemed incredible; the realization that all of this happened around one, in one’s own town, was overpowering, he said. 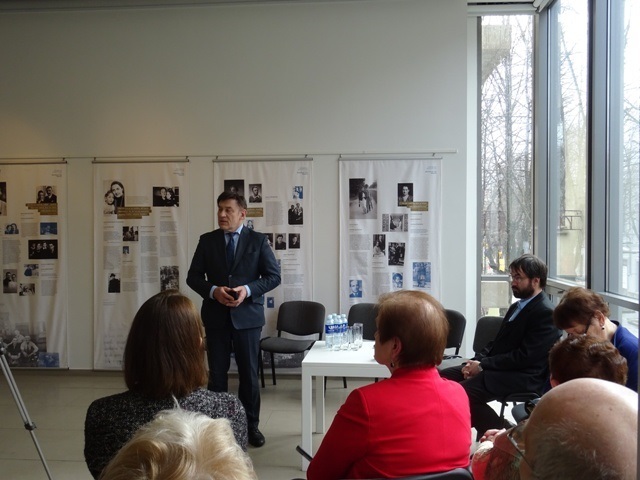 Vytautas Magnus University historian Dr. Linas Venclauskas was master of ceremonies at the event and was accompanied with musical interludes by violinist Paulina Daukšytė. 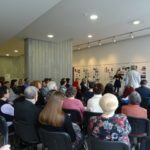 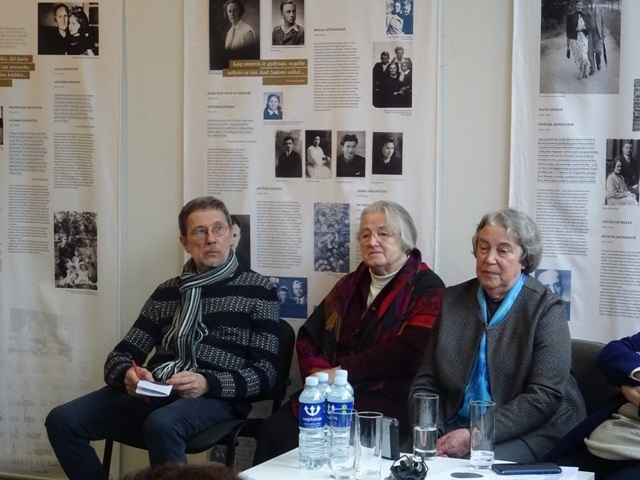 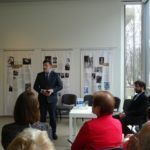 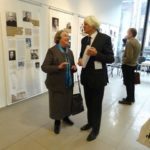 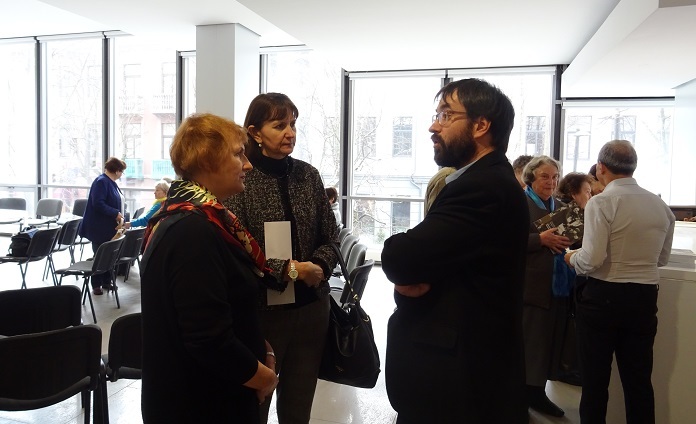 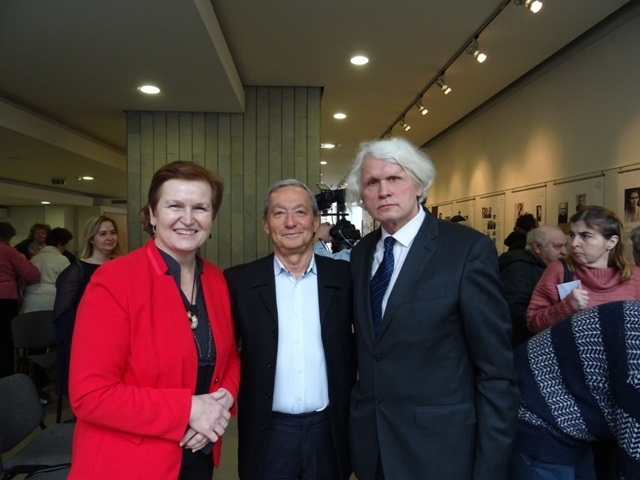 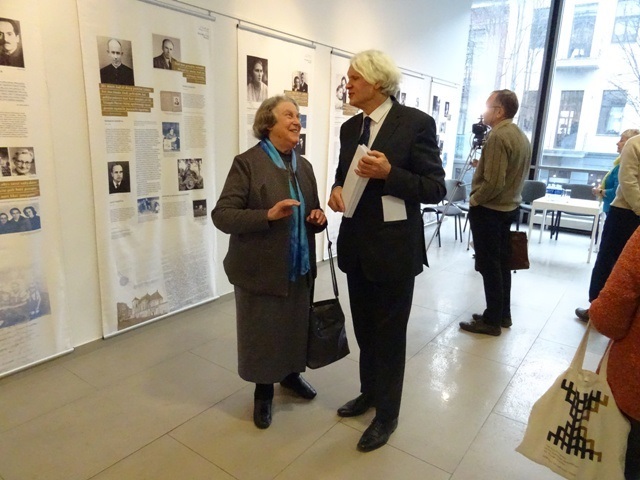 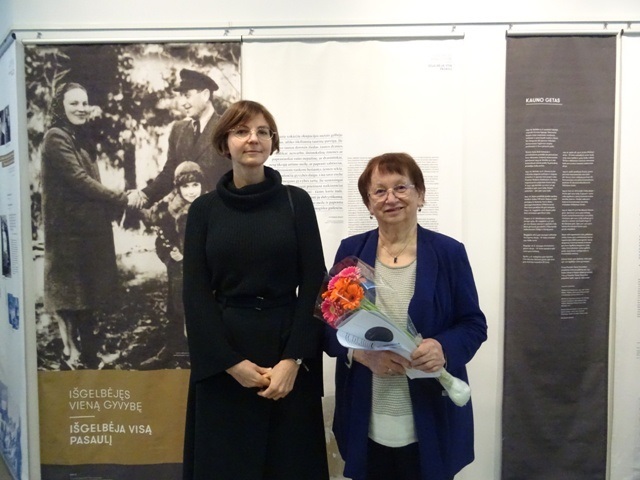 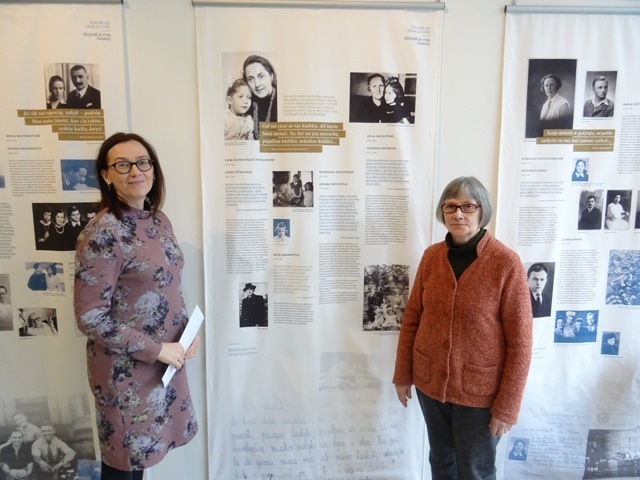 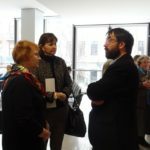 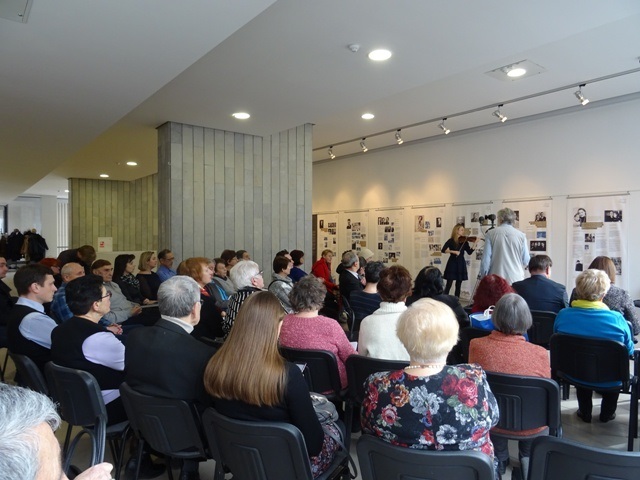 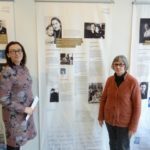 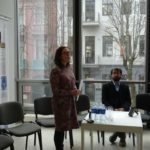 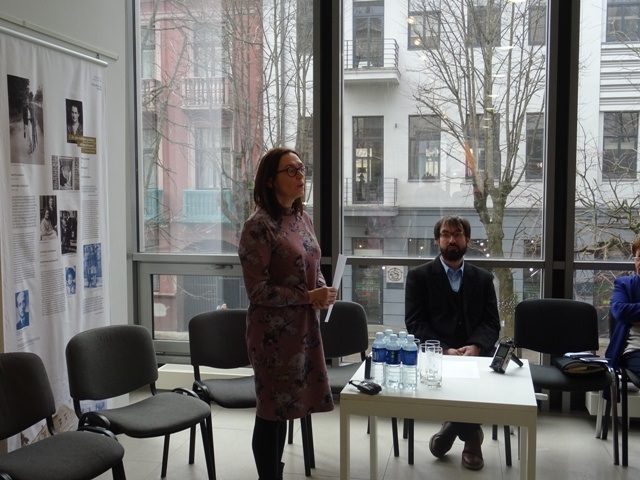 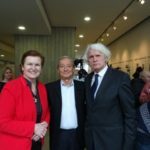 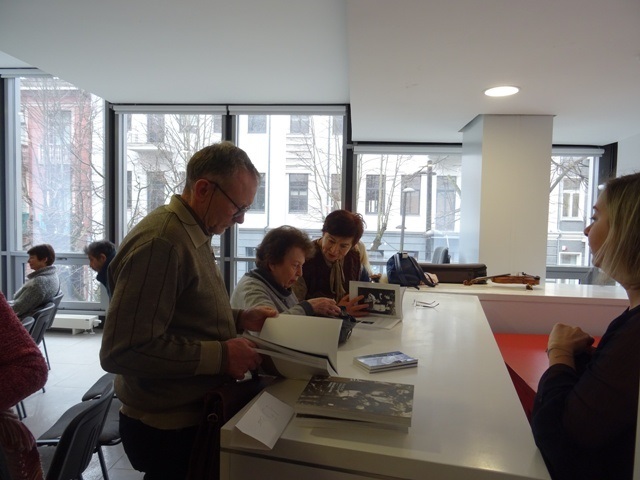 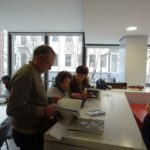 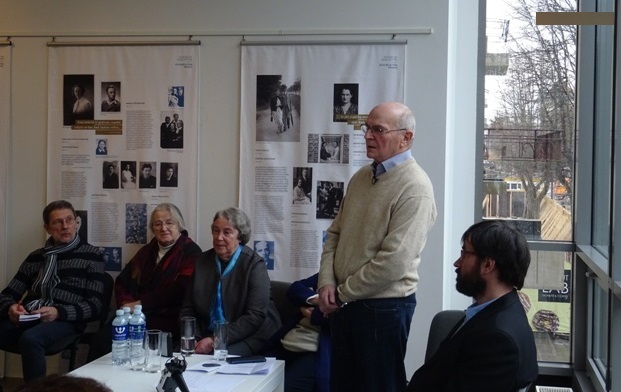 The launch of the exhibit and its presentation in Kaunas were organized by Association of Lithuanian Language Teachers deputy chairwoman Irena Navickienė and Rimantas Stankevičius, the author of several books about those who saved Jews from the Holocaust.